Flat Dark Earth Mossberg 500,535,590,835 12/20 Gauge Shotgun Tactical Stock. ATI Strikeforce Six Position Adjustable Side Folding TactLite Shotgun Stock With Scorpion Recoil System for Mossberg shotguns. Fits Most Maverick 88, Mossberg 500/535/590/835 12 GA Tactical Shotguns. Stock Folds to the Left Side of Receiver New and Improved Pivot Housing Assembly With Trak LOCK System Eliminates Horizontal & Vertical Movement of the Stock on the Buffer Tube. Provides Smooth Secure Stock Adjustments. Eliminates the Need for Secondary Locking Mechanisms With No Snag Points. Dual Sided QD Sling Attachment Point. Scorpion Recoil System With Scorpion T2 Recoil Pistol Grip Extended Scorpion Material to Reduce Recoil and Discomfort to the Shooter’s Hand and Thumb and Eliminates the Felt Punch of the Recoil. .Scorpion X2 Recoil Pad With Sure-Grip Texture Is Non-Slip, Removable. Increased Thickness for Recoil Absorption of Heavy Loads Not Affected by Chemicals. Triton Mount System Constructed of Military Type III Anodized, 6061 T6 Aluminum and Securely Fasten your ATI Tactical Stock or Rear Pistol Grip with no Specialized Tools and it is Angled, Self-Aligning Dovetail Locking System for Easy Secure Installation. Additional Spacer for when Sling Mount is Not in use. Removable/Adjustable Cheek rest System. Elongated Design to Fit All Users. Includes Tall Cheekrest with 1 ¼” of Adjustment. 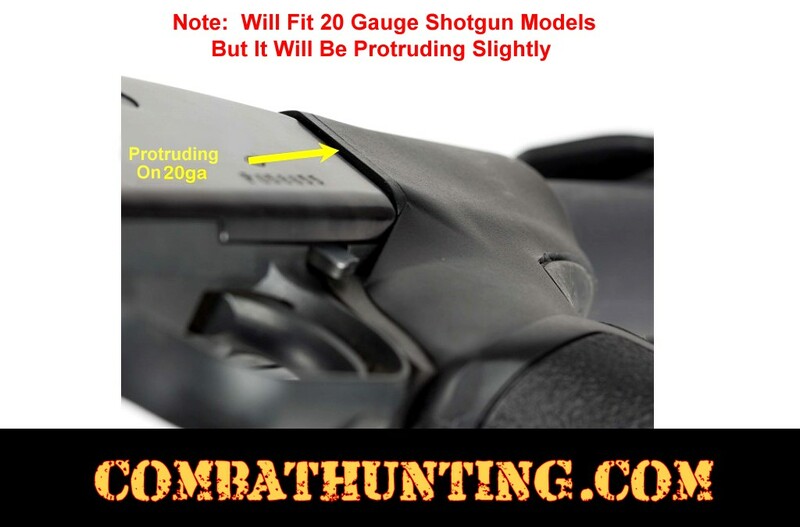 Includes Short Cheekrest with ½” of Adjustment. Six Degree Drop Tube Adapter for Recoil Comfort. Mounting Hardware Included. Made From DuPont Extreme Temperature Glass Reinforced Polymer. Manufactured in the USA. ATI Limited Lifetime Warranty. Fits: Most 12/20 gauge Maverick 88, Mossberg 500/535/590/835, Remington 870, American Tactical MB3, and Winchester 1200/1300 12 GA Pump-Shotguns.